Did you know that the longer you leave an infringement notice (a fine), the more serious it can become? Get legal help early and don’t leave it too late. 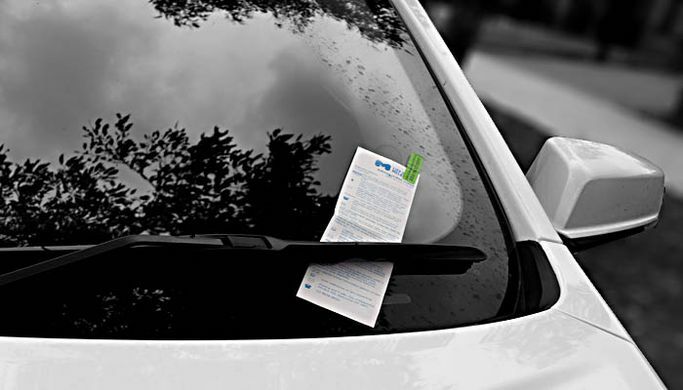 Parking fines – attached to your vehicle. These fines should be dealt with through the agency that issued it i.e. if you have a parking fine from the local council. Ignoring a fine has some serious consequences and you may have to pay more in added costs. You could event get arrested. There are 4 stages of the fines process. It is important to speak to lawyer as early as possible. When you first receive a fine you have options! You will have 21 days to deal with your fine. If you don’t deal with your fine in 21 days you may get a Penalty Reminder Notice. As of July 2018, a fee of $25.10 is added to your fine. At this stage your options remain the same as the Infringement Notice stage, unless the offence is for excessive speeding (25km above limit or over 130km) or drink/drug driving. More information about excessive speeding or drink/drug driving fines can be found here. If you do not act within 14 days the matter may be registered with Fines Victoria and a Notice of Final Demand may be issued. If you ignore your Infringement Notice and Penalty Reminder Notice you will receive a Notice of Final Demand from Fines Victoria. As of July 2018, a fee of $130.20 will also be added to your fine. You have 21 days to deal with this. At this stage, there are less options available to you. apply for the family violence scheme. If you don’t act within 21 days, an Enforcement Warrant may be issued against you. If you don’t deal with your Notice of Final Demand, $56.70 could be added to your fine and the Magistrates Court may issue you with an Enforcement Warrant. At the Enforcement Warrant stage you have 7 days to deal with your fines before the Sherriff can take more serious action against you. If you do not act within the 7 days, your only remaining option will be to pay the fine in full. If you need assistance with a fines or infringements matter, call us at 1300 430 599 to organise an appointment with one of our lawyers. You can find more information at the Fines Victoria website or at Fine Fixer.